A couple of weeks ago I went on a mini holiday. I don’t often go on holiday since I usually struggle to find anyone to go with. In the past I have found lonesome trips to be a bit dull. But this time I decided I might as well stop in a few places on the way down to Silverstone for the World Series by Renault event, which I was dead set on attending. After some thought, the Lake District became the obvious stopping-off point. It is roughly halfway on the journey between Dundee and Bristol, where I would be staying at a friend’s place. 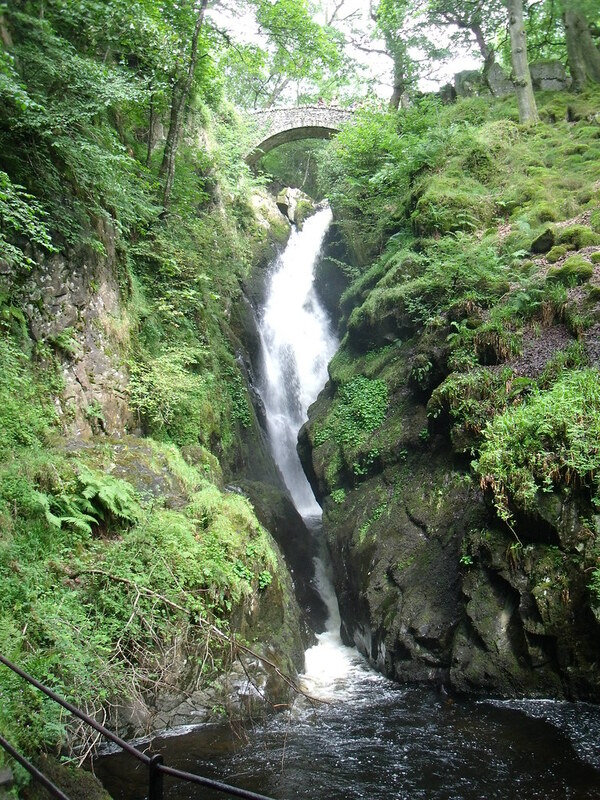 The first port of call was Aira Force waterfall. I had been told that Ullswater was worth visiting, and Aira Force stood out to me as something to see in that area. I was rather worried when I tried to park my car. The car park was mobbed, and I took what I considered to be the last available space. I was worried that I was blocking the car park exit somewhat. But that it didn’t stop someone else coming along and parking next to me! We agreed to back each other up if anyone told us off for not parking in the bays. Considering how busy the car park was, I found the walk up to Aira Force and beyond surprisingly peaceful. 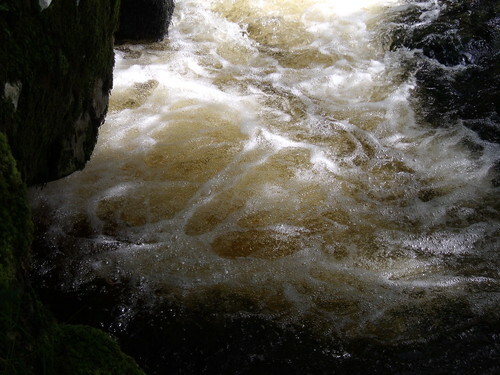 Of course, with it being a waterfall, the river itself is quite noisy. And there were plenty of people there. But at the same time, it is amazing how much privacy you can find. There is plenty of potential to deviate from the main path. You are not restricted to just walking alongside the stream. You can escape nature’s white noise, created by the torrents of water, to enjoy views like this. I could have spent much longer exploring the area around Aira Beck. But I had only paid for two hours of parking so had to make my way back down. I very nearly missed Aira Force itself! It was almost by chance that I eventually came across it. I have no idea how I missed this on the way up. I must have been too preoccupied with seeking out other views that I walked straight past the main attraction. I am thankful I saw it in the end as it is pretty spectacular. It says a lot about this location that I was having a brilliant time, before I had even seen the main draw. Here are all of my photos from Aira Beck and Aira Force.